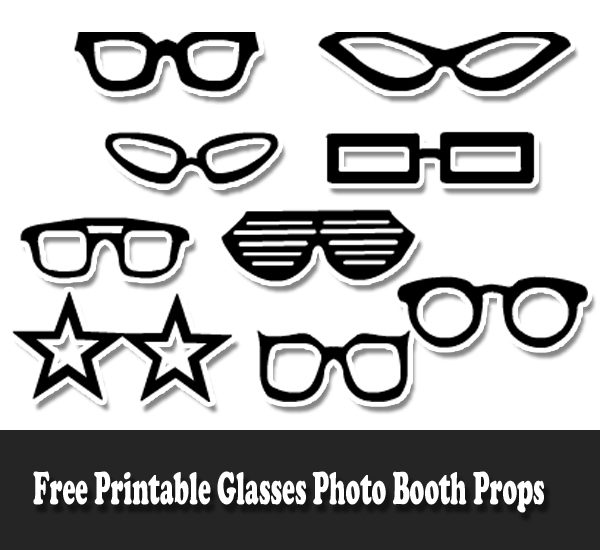 Glasses props are one of the most popular photo booth props that is why we have created many free printable Glasses photo booth props. We have also created many colorful glasses props in every category but on this page we are shring these glasses in various shapes and sizes but only in black color. 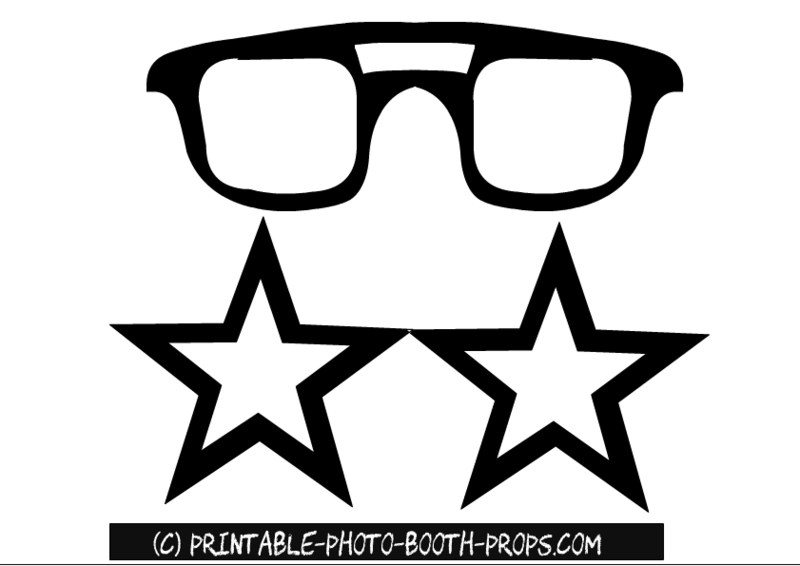 You can print these glasses props on your home printer and a black and white printer will do just fine and you wont be needing a color printer. 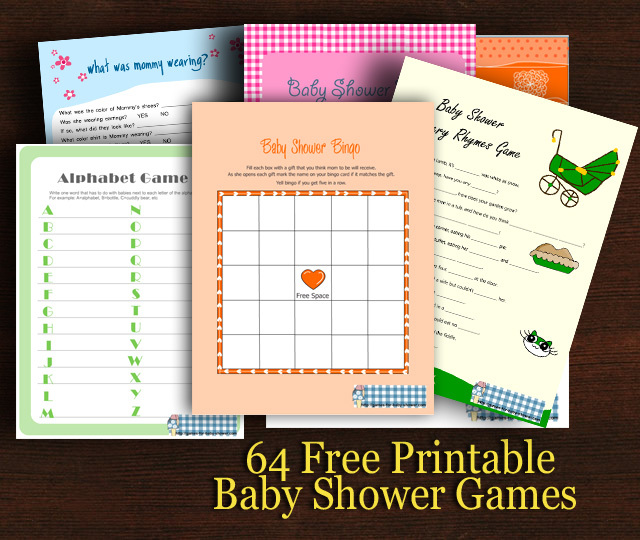 It is ideal to print these on a heavy card stock paper but you can also take a print out on any printing paper or sticker paper and can paste these on some card stock before cutting these. 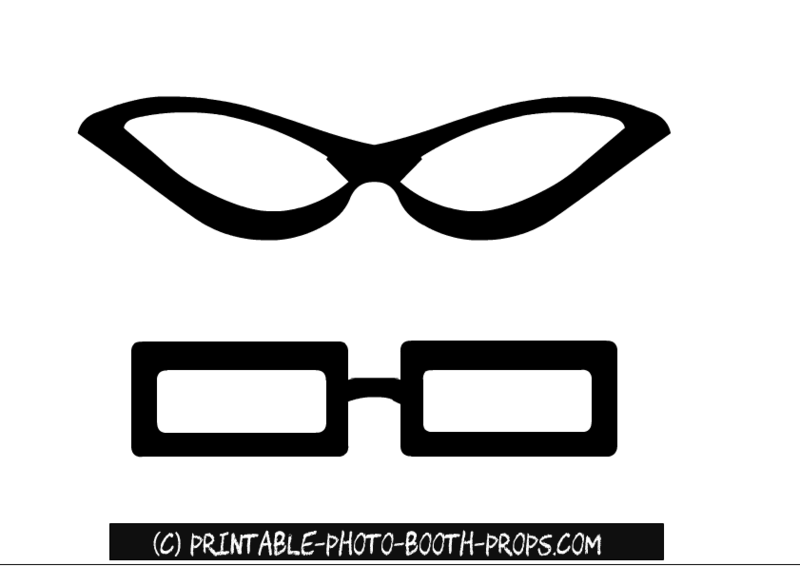 You can also use these free printable glasses props as templates or stencils and cut the glasses of these shapes out of a felt sheet or a glitter paper. 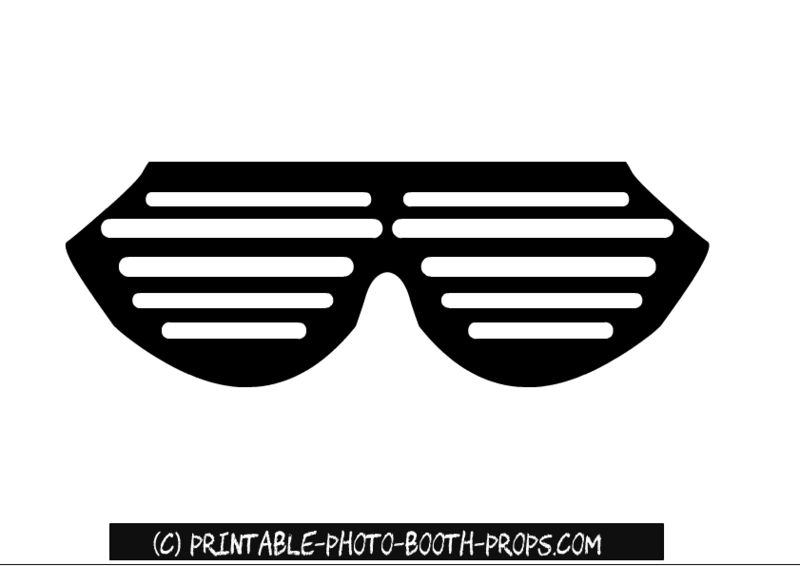 You can also decorate these glasses with various emballishments after printing these. Get ready to have a lot of fun with these free printable props on your party, in your classrooms or at your home. 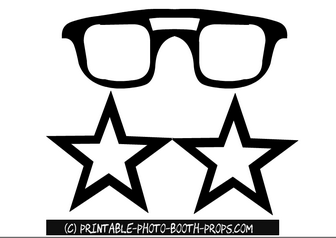 Here are two free printable glasses. You can cut these around the edges with a scissor and from the inside using an x-acto knife. These glasses will add fun and laughter to your party and to your photographs. 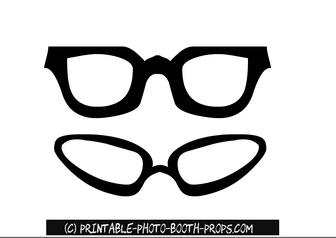 Here are two more free printable glasses photo booth props. Just click on the thumbnail image of these props and a bigger image will open up. Simply right click and save that image. 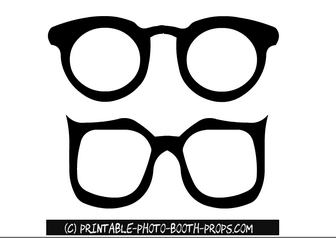 This is another prop of some adorable glasses that you can print. We have also made these glasses in various colors in various categories but to find those pritables, you have to browse through our website a little. Here are two types of glasses props, one are oval and one are rectangular. 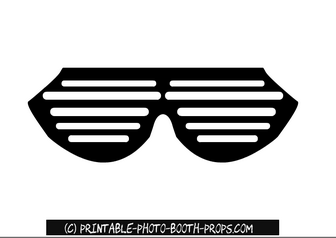 Just click on the thumbnail image of these glasses and the bigger printable image will open up. You can either save it or print it right away. 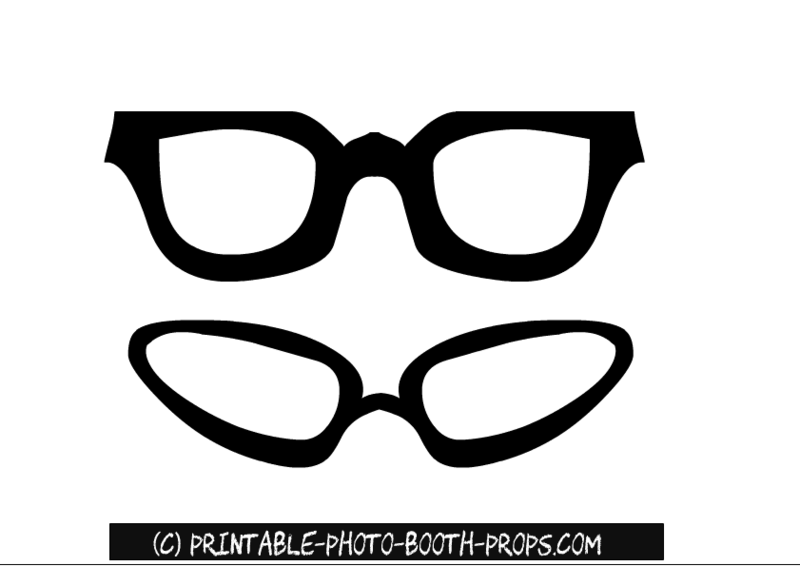 Here are two more glasses props printables. One glasses are classic in shape and others are fun and funky star shaped glasses.